Are you avoiding palm oil for health or environmental reasons? If so, it’s important to know the names for palm oil derivatives. Once you know what you are looking for, it’s much easier to find and choose palm oil free products. According to the International Palm Oil Free Certification Accreditation Programme (POFCAP), there are over 1,000 names for palm oil derivatives. They reference them when they are qualifying products for Palm Oil Free Certification. 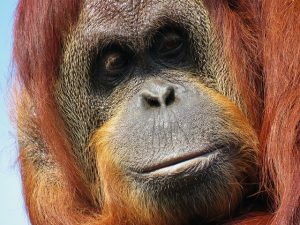 After years of research, POFCAP continues to update their extensive list which you can use as a resource when you want to buy products without palm oil. They have a list on their website to help consumers. It contains over 500 alternative names for palm oil and derivatives. View the list here. If you want to support palm oil free products and companies, check the ingredients in foods, cleaning products, medicine, and personal-care items, including toothpaste, soap, cosmetics, shampoo, and lip balm. If it has an ingredient label, review it for palm oil and palm oil derivatives. You can print out a copy of POFCAP’s list, and bring it with you, or reference it from your phone. Of course, we won’t always be able to check ingredient labels against a list of hundreds of names for palm oil. That’s why it’s important to learn some of the common prefixes and ingredient names for palm oil. Once you are in the habit of reading labels, it will get much easier, especially when you buy certain products. As an example, in consumables such as cereal and milk, you will learn to look for Vitamin A Palmitate. In ice cream, you will know to look for palm oil, palm kernel oil, and mono- and diglycerides. Once you start recognizing the prefixes and letter combinations, you will see they are easy to spot on labels. You will often see many combination clues in one ingredient name. An example is a prevalent palm oil derivative called Polyethylene Glycol. Here are some letter combinations associated with palm oil derivatives. Examples are Caprylyl Glycol, Caprylic Acid, and Capryloyl Glycine. Some ingredients are Cetearyl Alcohol, Cetearyl Ethylhexanote, and Cetearyl Glucoside. Examples are Cetyl Acetate, Cetyl Alcohol, and Cetyl Palmitate. Manufacturers will list this ingredient as Emulsifier 470 or E470. Instead of memorizing them, just avoid E numbers in the 400s. Examples include Ethylene Glycol Monostearate, Ethyl Myristate, and Ethylhexylglycerin. Some examples are Glycerin, Glycerine, Glycerol, and Glycol Distearate. Remember, look for the letters in other parts of the words, not just the beginning. Examples: Ethylene Glycol Esters and Mono-and-Di-Glycerides. Some examples of ingredients are Isopropyl Acetate, Isoamyl Laurate, and Isopropyl Myristate. You will see Laur’ as in Laureth-5, Laureth-16, etc. In other instances, you will see it listed as Lauryl Glucoside, Lauryl Lactate, and Laurel Myristate. Examples include Myristate, Myristic Acid, and Myristyl Alcohol. Words to look for include Octyl Palmitate, Octyl Stearate, and Octyldodecyl Myristate. Look for ingredients including Oleic Acid, Oleyl Betaine, and Oleyl Myristate. Know that when you see palm’ on its own or as part of a longer word, it is definitely made with palm oil. Some examples are: Palm Oil, Palm Kernel Oil, Palm Olein, Vitamin A Palmitate, Palmitic Acid, and Sodium Palmate. When you see Poly’ with any of the other letter combinations, it’s likely palm oil. Examples include Polyethylene Glycol, Polysorbate-20, and Polyoxyethylene Glycol. You will see Sodium along with another word. Some examples include Sodium Coco Sulphate, Sodium Lauryl Sulphate (SLS), and Sodium Stearoyl Lactylate. Some of these examples include Sorbitan Caprylate, Sorbitan Distearate​, and Sorbitan Monoglyceride. You may see Stear’ as a number, as in Steareth – 7 or Steareth – 10. It can also be listed without a number, as in Stearic Acid, Stearyl Alcohol, and Stearoyl Lactic Acid. Examples include Tocotrienols (Vitamin E), Tocopherols (Vitamin E), and Tocopheryl Linoleate. When you see Vegetable Oil as an ingredient, and it doesn’t include the source, it may be palm oil. A way to help know whether it is palm oil is to check the saturated fat count. According to Harvard Medical School, palm oil is high in saturated fat. So if it’s high, it may be palm oil. Knowing the common names for palm oil derivatives is a great way to choose palm-free products. See an example of how to find palm oil ingredients in our post featuring candy without palm oil. As stated above, remember to also print out POFCAP’s list of alternate names for palm oil to help you avoid the many ways companies use palm oil derivatives. To avoid palm oil products, it’s essential you check for alternative names for palm oil on the ingredient labels. There are hundreds of derivatives, but knowing the letter combinations to watch for makes it much easier. When you read ingredient labels, you will start to learn the common names for palm oil and what products contain palm oil. Also, looking for palm oil ingredients will become a lot easier once you know how manufacturers use palm oil. Then you can easily spot the different palm names and palm oil derivatives. Check out this list of palm oil free products. Hi Jenny, Thank you for taking the time to comment. As you well know, it’s very difficult finding palm oil free options. You are further challenged with the coconut and nuts. We hope you will refer back to our site often as we are continuously updating existing articles and researching new ones. We can tell by how many people view another one of our posts, “Palm Oil Allergy? Intolerance? Can You Be Allergic to Palm Oil?” that this is a growing concern. As demand and consumption continues to increase, we expect it to become even more prevalent. We will keep finding the supporting the brands that are palm oil free!